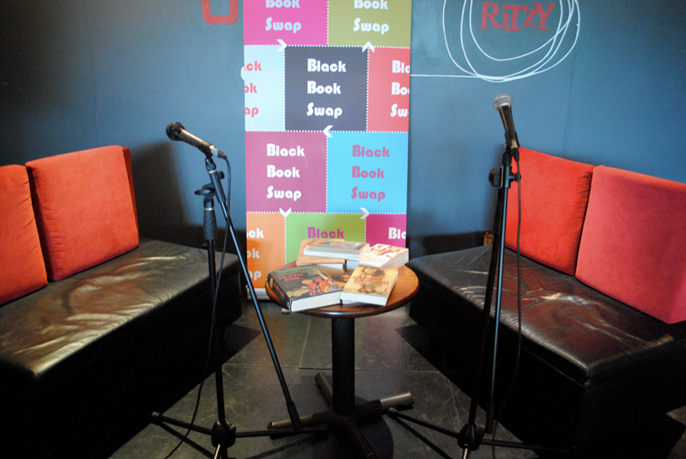 Black Book Swap returns to Brixton Ritzy on Saturday 30 November. London’s premier one-day celebration of black literature is brimming with bookish delights. Join us to hear about the biggest book releases of recent months. The eminent writer and creative writing lecturer, Bernardine Evaristo tells us about her new book Mr Loverman a story of seventy-four year old, Antiguan and now flamboyant leading personality of Hackney – Barrington Jeddiah Walker and his role at the centre of a love triangle. The UK’s foremost writer on black music, journalist Lloyd Bradley will be telling us about his book Sounds Like London: 100 Years of Black Music in the Capital. Nadifa Mohamed, announced as one of Granta’s Best Young British Novelists this year, will be talking about The Orchard of Lost Souls, a story of civil unrest in Somalia told through the eyes of three women. It is an unforgettable account of ordinary lives lived in extraordinary times. Exclusive to Black Book Swap, Irenosen Okojie will be reading an extract of her debut novel Butterfly Fish - a story that takes us from modern day London, and back to 18th century and 1950s Nigeria. And there is more: Bring a book to swap; enter our raffle for a chance to win signed copies of new books and browse the stalls for lovely goodies for gift ideas.